This documentation goes over the details of the ATOM source response. Many browsers (or other feed readers) will render this format in a reader-specific manner. See the ATOM specification or Atom Enabled for general information. 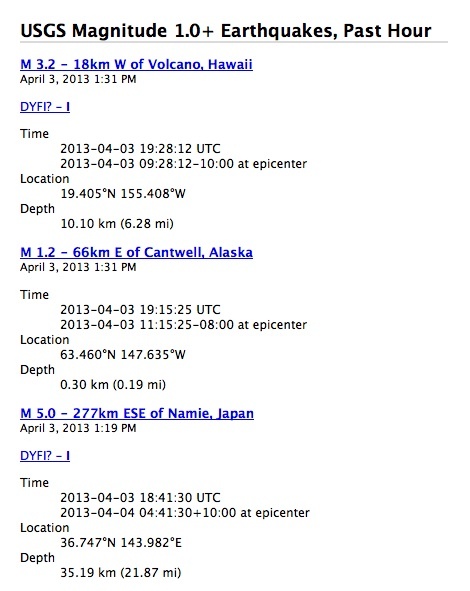 This feed adheres to the USGS Earthquakes Feed Lifecycle Policy. To request this output format, use “format=atom”. Screenshot of the Magnitude Atom feed.